Finding the right kind of wood finish for your project can seem daunting. How do you know that you will choose the right one? First, you will need to do your research on all the available finishes to see which one will work best for you. You will want to find one that matches your project well. Failure to do so could end up with your project not looking as well as it could, or it could end with your wood project rotting or being destroyed in the future. Keep reading for advice on choosing that perfect wood finish. Oil will help your project stand the test of time. The oil will infiltrate the wood grains and not just sit on the surface of your wood. Durability will be achieved after you put several coats on. Using oils is environmentally friendly. People who make wood products that need to be LEED certified should use oils for the finish. Oils will greatly improve the look and feel of any wood surface. You will find finishes in a broad variety of colors, but sometimes those colors can take away from the wood. With oils, you will simply bring out the true coloring and the nature of the wood. Oil finishes will still allow you to feel the grain in your wood project. For instance, if you are doing a wood floor, an oil finish will allow you to feel some of the grains on the floor. This will give you a unique floor. 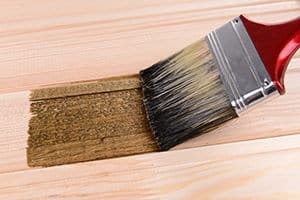 The cons of using oil are that it can be very messy to put on, and if you have a large surface, oil can take a long time to get into every crevice of the wood project. Take this into consideration when you are looking for a wood finish. 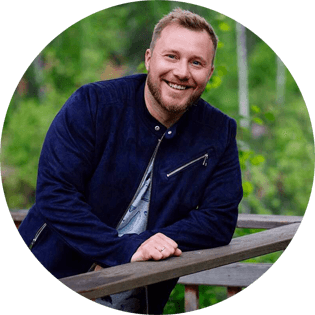 If you decide that oil would be a good choice for you then take a look at this article. Moisture can wreak havoc on your wood items. If your item will be outside or if you live in a moisture prone area, the stain will help to prevent rot. You will want to make sure that you reapply the stain from time to time. If your wood project is going to be anywhere near where sunlight can hit it, you will need to stain it. Unstained wood that is left in the sun can experience discoloration. This discoloration can quickly ruin a wood piece. The stain will keep the wood grain visible in most cases. You can get the stain in a variety of different colors and tints. The tint you choose will depend on your project. Make sure that you take your time and figure out what will match great with your wood. If you want a completely all-natural appearance, choose a stain that is free from color and tint. Application of stain is simple. All you need to do is brush it on. In most cases, you will find that the stain is the easiest to maintain. The downside of using stain is that it often takes a while to dry. You will need to let your wood project sitting for a while to dry. This means you will have to ensure that no one or no animal comes near it. You will also need to take care when applying the stain. Your brush strokes must remain even to avoid bubbling. 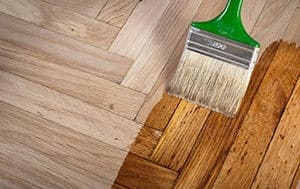 So if you want to keep the wood grain beautiful and visible you may choose the best wood stain that will fit your needs. Sealer gets down into the grains of the wood, protecting the wood from moisture and dust. This is great for those projects where you want the grain to be exposed and don’t want it to fill with debris. Sealer is very cost effective. This is one important thing to consider when buying wood finishing products. The downside to sealer is that it is often messy to put on and can be difficult to put on larger projects. Take the size of your project into consideration when getting a sealer. See the best wood sealers if you think a sealer is what you’ve been looking for. Shellac is one of the original wood finishes and has a variety of benefits. Shellac provides a barrier for silicon contamination, existing stains, and water vapor. This will protect your wood from any kind of damage. 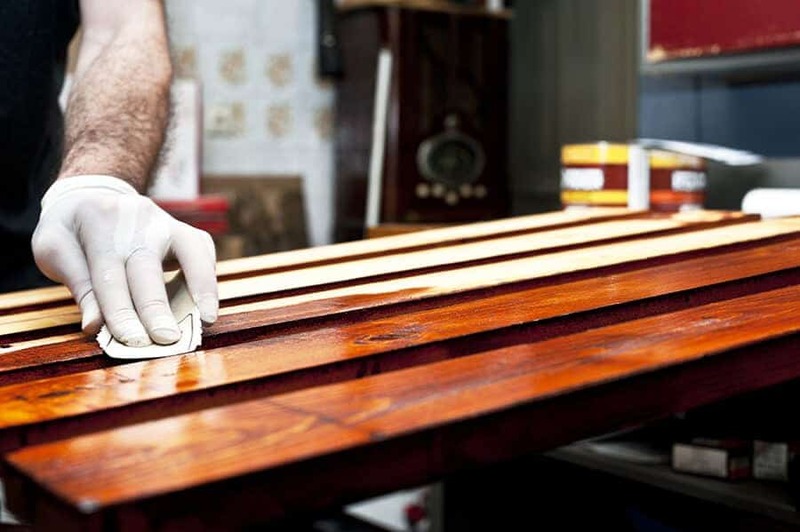 Shellac provides a unique ability to touch up scratches and dings in your wood. Simply apply the shellac to the area, and soon you will not be able to notice the ding or scratch. Shellac is also less harmful to the environment. Shellac uses mild solvents. Shellac protects the wood but does have a few drawbacks. This wood finish does not protect well against chemicals, heat, and solvents. It is not a good choice for those high use pieces. It is also weak to wear and has a short shelf life. You can put lacquer on with a spray gun. This makes it easy to use when you have mass wood projects that need to be completed quickly. Lacquer is compatible with many different solvents that will allow you to help to treat your wood project for any climate conditions. If you are looking for a finish that is easy to repair or remove, lacquer is the one for you. It cures quickly and is removed easily. Out of all the finishes, it is one of the cheapest on the market. You can find a variety of different appearances with lacquer. Lacquer does have its downsides. It is loaded with VOC compounds that make it harmful to the environment. It is also less resistant to alkali, solvents, and heat. This wood finish also has limited scratch resistance. You will want to take this into consideration before you choose to buy this wood finish to treat your wood products. Varnish is highly resistant to heat, solvents, acids, alkalis, and wear. This is due to resin molecules that are cross-linked. The cross-links that are formed from the varnish will help to prevent water from passing through. 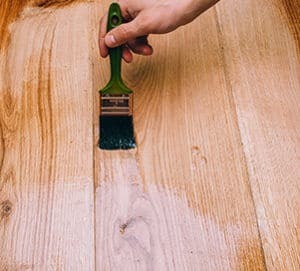 Your wood will look amazing when the varnish is applied. Varnish will come in a variety of different tints and colors, so you will want to take your time and find the one that is perfect for your project. There are several cons to using varnish. Varnish will take a long time to dry. Special care will have to be taken so that dust does not get on your wood. Varnish is not sprayed easy, so using a spray can type may not always be the best choice unless you are using conversion varnish. Polyurethane is extremely durable. It will stand up to wear, scratching, heat, as well as acid. If you want your wood piece to last for many years, you will want to use polyurethane. Polyurethanes create some of the most beautiful pieces that you will ever see. We different gloss types, you will have no trouble making your wood look amazing. Polyurethane can be found just about anywhere. It is also very affordable. There are a few things with polyurethane that can be problematic. It can take up to 24 hours to dry, which can leave you with the worry that something might get onto the piece. You must sand between coats of polyurethane because it will not bond without sanding. Failure to sand will make your final project look terrible. Polyurethane is typically brushed on, so this will take some time. Wax is a low VOC option and better for the environment. Wax is never full of chemicals. Most waxes are either made from beeswax and mineral based. It is extremely easy to place wax on your wood surface. It is also easy to rewax your project. Reapplication of wax should be once a year. In some cases, you will need to apply wax more often depending on the usage of the wood product you have finished. If you are looking for a rustic alternative that delivers a hue of beauty, you should choose wax. It looks amazing and is perfect for those projects where you want that rustic look. There are a couple of cons to wax. Wax is not the most durable option. Wax will not protect your floor from heat, water, and other damaging items efficiently. Depending on your wood item, you may have to rewax frequently. You also may have trouble finding the wax that you want in your local area. If you wish to use wax for your wood project, you may have to look online. Choosing what type of wood finish you need shouldn’t be complicated. Just take your time and figure out what works best for your project. Remember the pros and cons of each and you will have no trouble getting the wood finish that you need.